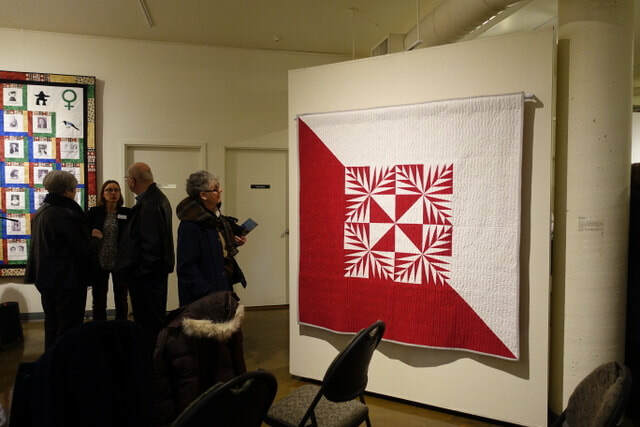 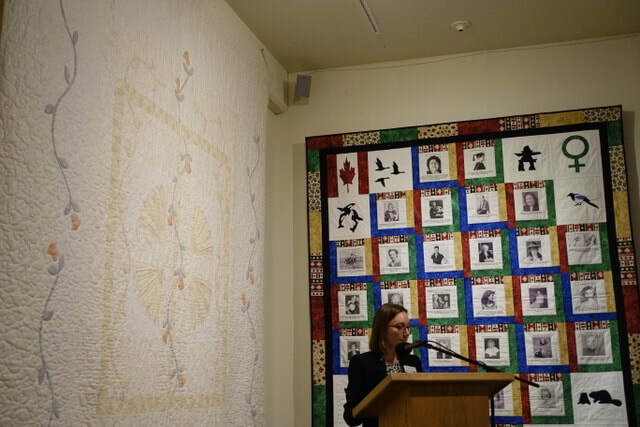 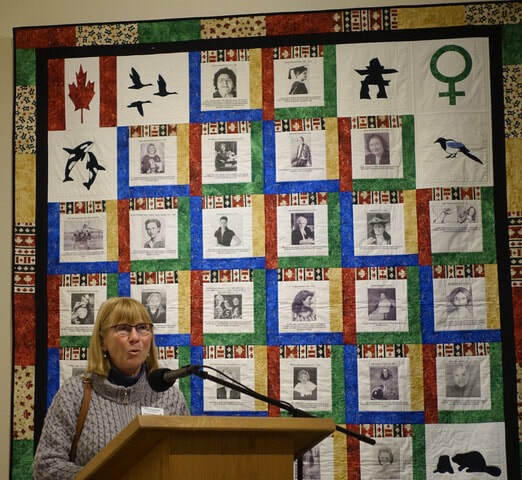 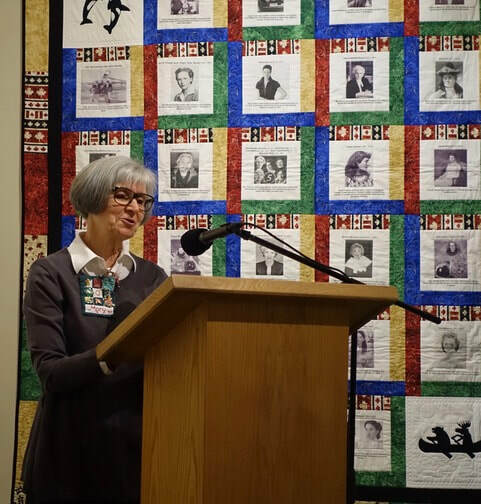 In the fall of 2017, we were invited to participate in a special exhibit, Needle and Thread: The Art of Quilting, at the Okanagan Heritage Museum. The exhibit, which ran from February 19 until May 26, 2018, showcased quilts from the museum's collection and quilts from our members to show how quilting has changed over the years from traditional quilts made by hand, to contemporary and modern quilts made by hand and machine, to art quilts incorporating a variety of materials including wasp nests, twigs, leaves and even cat fur. 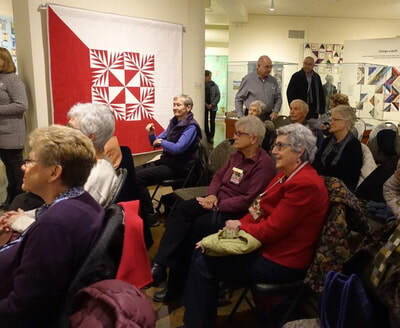 We also offered three special events to the public in connection with this show: on March 24, Dianne Kapty demonstrated the delicate art of Hawaiian quilting, on April 28, we held a donation sewing bee demonstration, and on May 10, we presented a Trunk Show giving an overview of quilting in the 21st century and highlighting current trends in quilting. The official opening of the show took place on February 22, 2018 with more than 75 in attendance. The quilt exhibit brought me in. 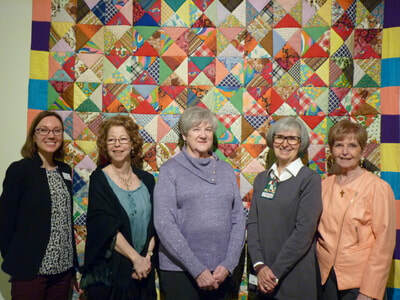 Great quilt exhibit. More please!! 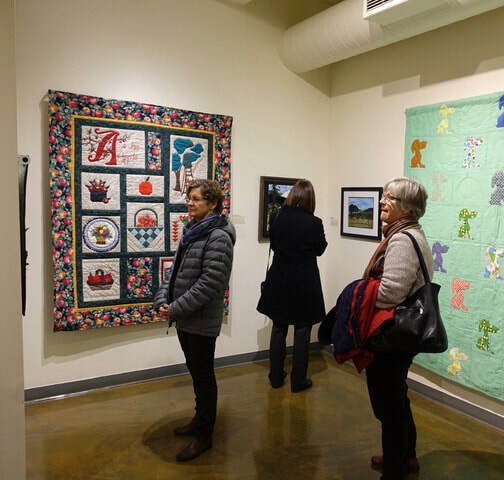 If you missed the exhibit, or if you would like revisit the show, enjoy the slide show below.